School is in full swing now so as parents we need all the help we can get. That’s why we scoured the mommy blog circuit to find you some of the best tips, tricks, and hacks for the back-to-school season. With some help from other moms, dads, and teachers, you can find the perfect way to get your kids back in the swing of things for the new school year with the least resistance. Every day it is the same battle. What should I wear. We wish this wasn’t an issue, but it is, with every child, every gender, and every age. It really isn’t always about what to wear but about how to slow down the morning. Answer: pick it out ahead of time and organize it in the incredible chest of drawers. Thanks to this idea by mommy organizer Kortney Brady @KortneyBrady this lifesaving tip could help maintain parent sanity in those rushed mornings. Once again it’s all about power. The kids want the power, we aren’t really sure who has the power anymore. But with this hack we can still keep the power but give them the power of options. All within our pre-conceived choices of course. Thanks to mommy blogger I Heart Organizing for her easy tutorial. Do you have homework, nope. We hear it everyday. Where is your homework? Not sure. Same old same old. But not this year. With an organized homework station and calendar you can help your kids to keep track of all of their work. You can even check it afterwards! Success! Thank you mommy blogger Centsational Girl. Check out these incredible mommy bloggers ideas on their websites now. They can help you make going back-to-school a simple and straight-forward process this fall! 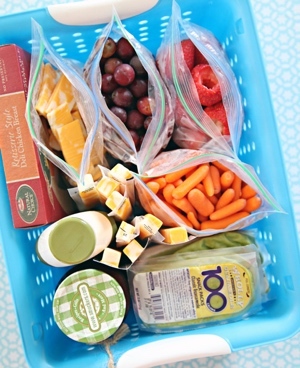 This entry was posted in General and tagged Back-to-school, Centsational girl, Clothes, I heart organization, kortneybrady, Organization, organizations, organize, School, school lunch, school lunches, School Supplies, the boys store on August 29, 2015 by Lacy. 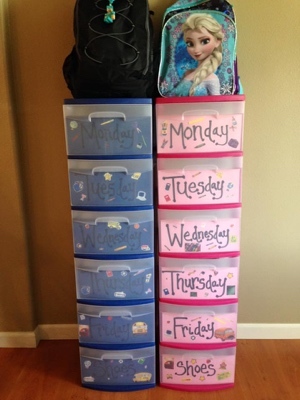 Love the idea of starting organization skills early in life. With a background in special education, I found that daily living skills were lacking for all children whether they had special needs diagnoses or not. I came up with the idea of dresser knobs that help with sorting of clothes. Pls see my website: http://www.betchaIcan.net. Oh my gosh! How clever. It makes me wish my children were still in elementary. How did you create the stackable clothing organizer? I can not find a 7 drawer organizer that has equal size drawers. I love the idea! You can find single modular stack-able drawers at most big box stores.